After a couple of weeks of wet weather, the sun has finally come out and so have the fish! Over the next week we should see some good quality Browns start really moving into the river system. 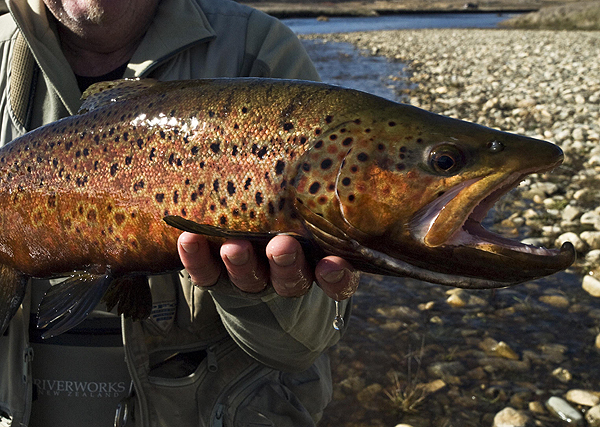 There has already been some reports of some great quality fish in the Eucembene and Thredbo rivers. Although they are not in great numbers just yet there are certainly some big fish cruising around. The best method right now to catch some of these guys is with some heavily weighted nymphs like a Hare & Copper or Pheasant Tail with a smaller nymph trailing, or perhaps even a Glo-bug (in the next couple of weeks the Glo-bugs will be the order of the day) with an indicator to detect any action. A good drift will be the key to get some of the bigger fish to “take”, so make sure that you control your line at all times. I’m hoping to get out on the river in the next couple of days so I’ll be able to give a full report on what’s happening by the weekend. 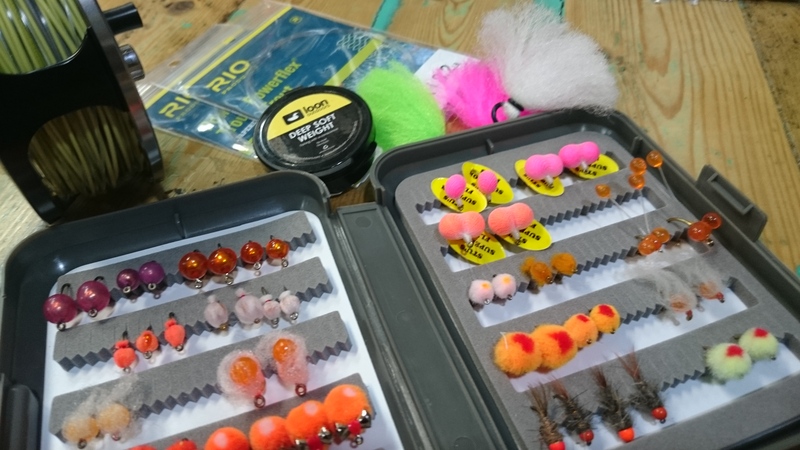 Don’t forget we have just about every type of egg pattern to cover your bases for a successful fishing trip. Come on in for all of your needs! Next report coming very shortly! !